The largest music database for your Android device is here! Enjoy the best music on Android smartphones and tablets. Discover all the relevant information about your favorite artists quickly in a stunning visual way. 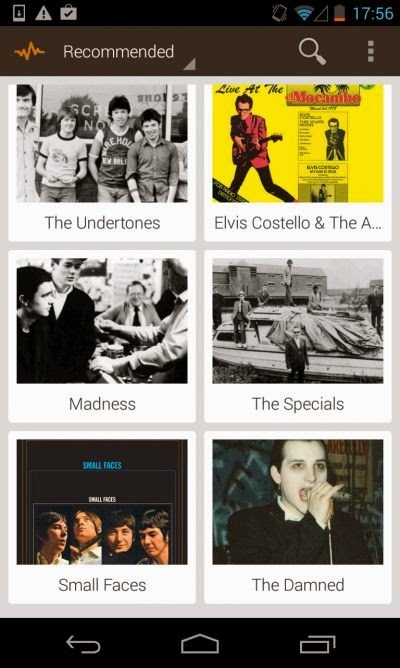 Search the bands you like and find all valuable data . No matter the style or popularity, Bandhook serves them in a matter of seconds. You will get videos, images and even previews from their albums and songs. But Bandhook is not just a reference application. I will also help you discover new artists related to your musical tastes. Within each band, you can access a list of similar artists you will surely enjoy. In addition, returning to the home screen, you will get a list of recommendations at your disposal. And if you don't want the experience ends here, you will also have a direct link to listen to the songs on Google Play, Spotify or Deezer. Bandhook is better enjoyed on tablets, providing a stunning adapted interface for devices from 7' to 10'! Discography: album details and 30s previews from every songs. Leave your comments in the appropriate section or through the contact mail.